OLYMPIA, Wash. (AP) — A soldier from Washington state who was killed in Afghanistan over the weekend gave his life in service of the United States, Gov. Jay Inslee said. Army Sgt. Leandro A.S. Jasso, 25, died Saturday during combat operations in Helmand province, Afghanistan, Defense Department officials said Sunday. Jasso was from Leavenworth, Washington, and was assigned to 2nd Battalion at Joint Base Lewis-McChord. 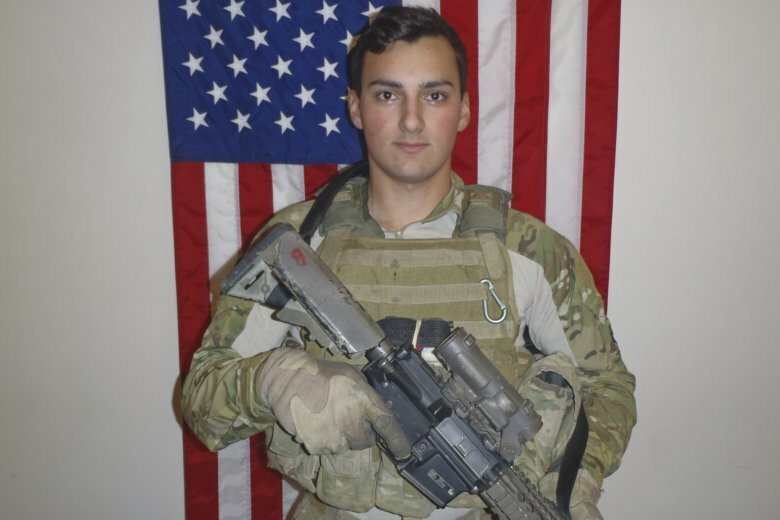 Jasso was wounded by small-arms fire and was treated and evacuated to the nearest medical treatment facility, where he died, said Lt. Col. Loren Bymer, an Army spokesman. He was on his third deployment to Afghanistan after enlisting in the Army in 2012. “Sgt. Jasso was a humble professional who placed the mission first, lived the Ranger Creed and will be deeply missed,” said Lt. Col. Rob McChrystal, commander of the 2nd Battalion, 75th Ranger Regiment. On Sunday, as news of Jasso’s death spread through Leavenworth, former teachers and friends recalled a quiet young man who enjoyed the discipline and experiences the Army provided, the Seattle Times reported . They said everyone seemed to have a connection to the soldier in the Chelan County city of about 2,000 people. Jasso enlisted in August 2012, about three months after graduating high school. Brixey said he told her it seemed like the smartest option with the most benefit. He was sent to Fort Benning, Georgia, before his assignment to Joint Base Lewis-McChord and deployments. The Army seemed to suit him, according to Ala’ilima-Daley and Brixey. He liked traveling and meeting people from other parts of the world. But he didn’t talk about his time in war. Cascade High School will hold a moment of silence Monday. City leaders also are considering other ways to honor Jasso, Ala’ilima-Daley said. “We are in mourning, but we want to bring our community together,” he said.